As the sun began to set, the sky darkened with the legion of bats which came out of the Rabat catacombs, noted G. Gulia in 1890 in his book Elenco dei Mammiferi Maltesi. Certainly, the tendency of these nightly creatures to live in such dreaded underground areas didn’t help them much in order not to be associated with evil and darkness. Likewise, their strange semblance, their mythical association with Dracula, and images of Satan bearing their wings, hindered even more their reputation. In Aztec and Mayan cultures, bats were deities connected to death. Yet nothing could be far from the truth since bats have a beneficial role in the earth’s ecosystem. 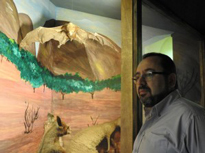 The importance of these unique flying mammals was highlighted during a recent activity which was organized by MEPA’s Environment Division in collaboration with Heritage Malta, at the National Museum of Natural History in Mdina. 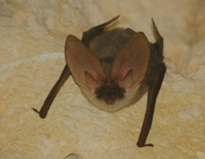 This annual event, recognized as Malta Bat Night, included a discussion about bats and listening to their sounds through an electronic device. 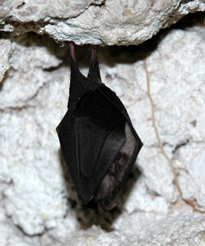 “Malta Bat Night forms part of a partnership which we have with the European Union for the Research and Conservation of Bats,” explained John Joseph Borg, Senior Curator at the National Museum of Natural History. Indeed, Borg explained that colonies of bats have been repeatedly put on fire whilst they were resting in their caves. Others were smothered when vandals threw mud and other things at them, even though they were clearly being protected behind a gate, such as in the case of Ħasan Cave. Bats of a small colony which lived in a site that had access to a particular school, were burnt alive by school children after they captured them and drenched them in hot candle wax. Well, after hearing these stories, it becomes very clear who the evil ones are. “Unfortunately our culture has taught us to fear and hate these creatures. In actual fact, their presence could be very advantageous to humans,” revealed Borg. What about the so called vampire bats. Were they real? And do we have them in Malta? Borg informed me that we have seven resident species of bats which are: Lesser Horse-shoe Bat (Rhinolophus hipposideros), Maghrebian Bat (Myotis punicus), Grey Long-eared Bat (Plecotus austriacus), Savi`s Pipistrelle (Hypsugo savii), Kuhl`s Pipistrelle (Pipistrellus kuhlii), Common Pipistrelle (Pipistrellus pipistrellus), and Soprano Pipistrelle (Pipistrellus pygmaeus). From the remains of moth wings which Borg collects from the museum floor early in the morning for his studies, he is able to identify more information about his resident bats, such as what they prey on. 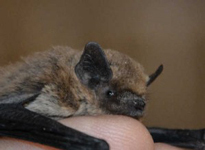 Interestingly, each small Pipistrelle is able to eat around 20,000 moth each night, thereby being more effective than the insect sprays which we use. Nonetheless, most people have no idea about this and when they realize that they are co-habitating with bats, hell breaks lose. In such cases, Borg or other responsible officials will need to go and survey the bats before taking action. This involves counting them daily for a whole week in order to confirm the exact amount of bats that are roosting in this place. Once, this amount is identified, they will wait until all the bats are out at night and then they will block the nest in order not to let them in again. Eventually, when the bats will return home and realize what happenned, they will automatically move away to a second area which they tend to keep as a form of protection. I couldn’t help feeling impressed by these creatures. Yet more was still to come. Although there are some who associate bats with flying mice, Borg informed me that there is nothing common between the two. 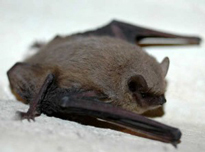 While mice come from the order Rodentia, bats form part of the order of Chiroptera (meaning hand-wing). 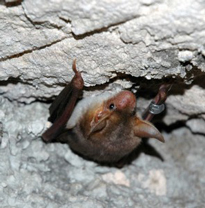 In the Mdina museum, one can also find some current bat specimens. Borg insisted that it is not the policy of the museum to capture and kill creatures in order to preserve them. So, one won’t find a specimen for each species which live in Malta. 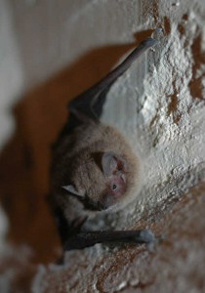 Nevertheless, the museum will do his best to assist whoever will request information about bats. Borg’s own interest in bats goes back to the 1980s. Originally fearful of them, he came face to face with these bats whilst he was doing bird studies and these nightly creatures were being captured accidentally in nets. At first nervous, he asked others to remove them for him, until one day, he decided to do the job himself. From then on, he was completely captivated by them and has been studying them ever since, eager to share his knowledge in the hope of fostering more interest from the public. It is safe to say that Malta Bat Night has certainly gone a long way towards achieving this.